I know, I know, it’s not reallllly a fairytale, and I’ve already “done” fantasy, but I was leant this book by someone who only started reading for pleasure this year and needed an excuse to bump it up the To Be Read pile (which has now taken over house) so I’m including The Borribles, by Michael de Larrabeiti in the Once Upon A Time Reading Challenge and if you don’t like it, then don’t look. 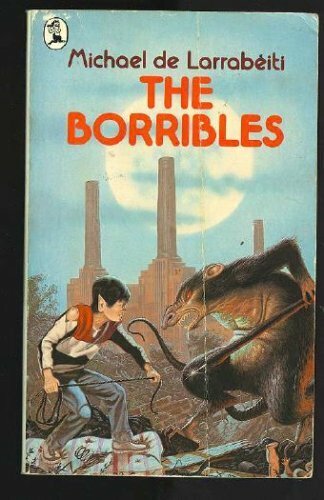 Set in a London of markets that still have barrows of frui,t and rag and bone carts still pulled by horses, this is the story of the intrepid band of Borribles: a race of children that have either run away from home or been neglected and ‘Borribled’, a mysterious process that keeps them young forever, with distinguishable pointed ears. The Borribles live on their wits, and ancient Borrible proverbs and laws, mostly by stealing and having adventures. The most important Borrible law; Don’t Get Caught. Borribles are very territorial and when Knocker, the hero of the tale, discovers a rogue Rumble, the Borribles enemy, large rabbit like creatures that live in the countryside underground and are fabulously wealthy, it is decided that an adventure must be had to wipe out Rumbledon forever. I loved this book. Loved it. Full of violence and terror, this is scarier than Mrs Frisby and the Rats of NIMH which I read as a child and was terrified by. The ideas about what is and is not Borrible, and how a person’s morals affect their lives and that of their friends makes this a fantastic introduction to social theory. Every single character is great, Knocker is possibly the most well rounded children’s hero I’ve read in some time. The first of three books, I cannot wait to get my hands on the next ‘The Borribles Go For Broke’. 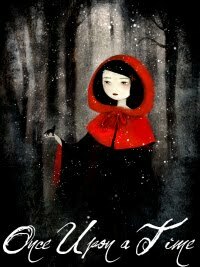 If you’re looking for an interesting fantasy for avid reading pre-teens, or if you love weird fairytales yourself I’d recommend this one. Be warned though, the violence is pretty extreme so younger children might not like it so much. Next ›Book Club – The Second Meet Up! I read the trilogy when I was about eleven or twelve and absolutely loved it. I haven't re-read the books since, though I'd really like to. Not a spoiler, but I remember events getting even grimmer in books two and three than they are in the first one.